Announcing the launch of another fitness application for iPhone or iPod touch. 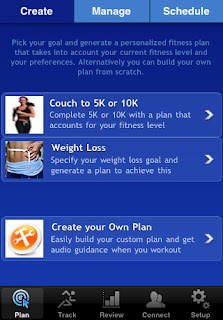 The app called Fitaide Pro 1.0 has been developed by Poscitech. Fitaide Pro offers to the users help, support and training to achieve their fitness goals and find motivation. It is proved that the main trouble for fitness is lack of motivation. With this app the problem is solved. Here you can see your early results which will be a motivator for your future better results. Fitaide Pro's cutting-edge technology creates a personalized cardio or interval training plan and uses the in-built 3D motion sensor to track users and cues them to change pace - ensuring they get to their goal. The app provides you with intuitive user interface, rich graphical displays and 3D Motion Sensor technology that automatically tracks calories, steps, distance, speed or pace, at any level of fitness. Fitaide Pro 1.0 is priced at $4.99 in the US or equivalent in other markets and is available exclusively through the App Store in the Healthcare & Fitness category.